Includes yurt camping, guided kayaking tour, watersports session and dinner at the beach! With winter almost behind us (honestly), we're very pleased to offer the ultimate outdoors holiday package as our big spring-summer prize this year. And what a prize it is! First up, our friends at Yurts Cornwall, Tremeer Farm will treat the winner and up to 3 friends to 3 night's accommodation in a luxury glamping yurt. Your stay includes a welcome pack, a hot tub session and all the marshmallows you can eat! Then, prepare to get wet and wild courtesy of the award-winning Polkerris Beach Company. Based on one of Cornwall's finest beaches, this renowned water-sports centre is offering the winners a fully guided taster session: try your hand at either sailing or windsurfing under the guidance of trained professionals. Qualified instructors and a safety boat are constantly on hand to bring you back should you accidentally set off to France! Taking the tempo down a notch, the good people at Encounter Cornwall will take the winners on a guided kayak tour of the magnificent Fowey Estuary. With it's many hidden creeks and inlets, this Area of Outstanding Natural Beauty is abuzz with all manner of marine wildlife. Choose between a voyage on the high tide or a paddle down the harbour mouth. The tranquil trip will also take in some idyllic riverside Cornish villages, as you admire the setting sun from the peaceful waves. You'll have no doubt worked up quite an appetite after all that activity. Well, there's no better place to tuck into some truly scrumptious food than Sam's on the Beach. Cornwall's coolest beach restaurant is located in an old lifeboat station, with views overlooking Polkerris harbour and the whole of St Austell Bay and beyond – the ultimate setting for a seafood feast. what are the names of tremeer farm's 3 resident kunekune pigs? The competition closes at midnight on 31st July 2015 and the winner will be picked at random. Full Ts & Cs below. Good luck! 3. The closing date for this promotion is 31st July 2015. Any answers submitted after this date will not be eligible. Answers received up until midnight on 31st July will be eligible. 3. 2 The winning answer will be selected at random from all correct answers submitted, within 7 days of the closing date. 3. 3 The winner will be notified via email within 7 days. The name of the winner may be published on the coolcamping.com and www.coolplaces.co.uk websites, and may be used in other marketing emails. 3.4 By entering this competition you consent to Cool Camping contacting you from time to time for marketing purposes including the distribution of regular email updates or newsletters. We will also share your email address with Yurts Cornwall, Tremeer Farm, Polkerris Beach Company, Encounter Cornwall, and Sam's Restaurant. You can unsubscribe from these emails at anytime. 4. Prize Details. Prize consists of a 3-night stay for up to 4 people in a yurt at Yurts Cornwall, Tremeer Farm (Cornwall) on any off-peak weekend (Fri-Mon) for 4 persons. Prize also includes complimentary watersports taster session with the Polkerris Beach Company. This entails either a 1 hour 30 minute sailing or windsurfing session for a family group of up to 4 people (children must be at least 8 years old to participate). 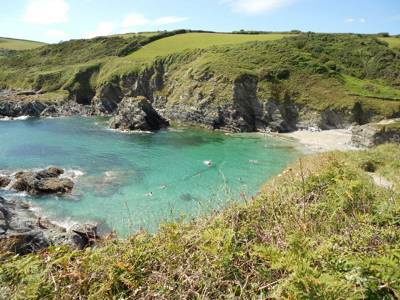 Prize also includes a 3-hour guided kayak tour with Encounter Cornwall. Prize winners may choose between a "Creeks & Backwaters" trip on the high tide or "Harbours & Beaches" which paddles down to the harbour mouth. Finally, Sam's Restaurant will provide lunch or dinner for up to four people at their beachfront premises, including a bottle of wine and soft drinks. Prize does not include travel to or from any of the locations. All excursions and meals will need to be booked in advance. Prize must be redeemed by September 30th.